If you have skype installed you can select the link below to call Beccy Stremes Registered MBACP (Accred). I am a BACP accredited counsellor with ten years experience of counselling, I use a blend of tools from different counselling approaches, so that I can provide you with a unique, individually tailored service that is best suited for your needs. I work with individuals and couples and am available in the daytime and evenings up to 9pm. I offer a safe comfortable confidential space for you to explore issues that are affecting you in your life. The relationship we build is based upon trust, genuineness and the ability for me to explore your world from your eyes. 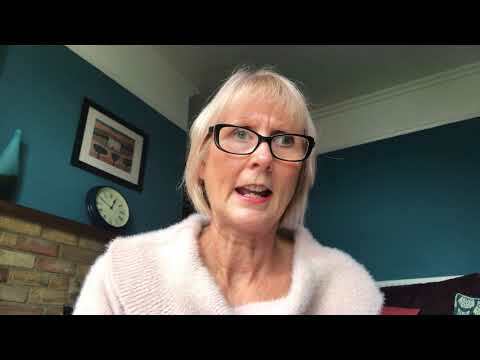 This then enables me to understand exactly how things are for you, and from that point, we can work together to focus on the areas that you are wanting to change in your life, or the areas that are causing worry and anxiety. I work in a non judgemental way, which means that my own values and beliefs are put aside in order to truly understand and hear yours. I work short term ( up to 6 sessions) or long- term ( open ended) depending on what you decide you need. I offer Introductory sessions at £50, where we can explore the difficulties you are facing. This is a chance for you to see whether I feel like the right counsellor for you, before you commit to further sessions. For further information about me, please visit my website, which you will find at the top of the page. If you would like to contact me directly from this directory, please note that I always reply within 24 hours of receiving the e-mail. If you do not get a reply, please check your junk box, in case it has gone there. I am happy to contact you by mobile, so please leave a mobile number if your prefer. I also can offer skype counselling sessions if this is more accessible for you. I qualified as a person centred therapist, having gained a degree - BA (hons) . I am a member of the British association of counsellors and Psychotherapists (BACP) and abide by their ethical framework. I am also am a member of the accredited voluntary register. Trauma from sexual violence or abuse. Relationship issues - couples counselling or individual counselling. Discovering the new you after a life change. Patterns of behaviour in relationships. I have 10 years of counselling experience, working with adults in my own private practise; voluntary agencies and working in primary and secondary schools with children, young people and parents. I also offer couples counselling. I trained as a person centred counsellor at Metanoia Institute, London, where I gained a degree in counselling. I have also completed a certificate in supervision, and offer supervision to trainee counsellors; qualified counsellors and pastoral staff in schools. I have worked as a tutor on counselling courses through CALAT adult education. I am an accredited member of the BACP (British association of Psychotherapy and counselling) and I adhere to the associations ethical framework. I offer some concessionary fees for trainee counsellors or for those who pay and book for 6 sessions upfront. Please visit my website, by clicking on the address at the top of this page. You will be able to access my blogs regarding counselling and the service I offer. You can alternatively use the contact me page, to e-mail me from this site. I will endeavour to answer your e-mail within 12 hours.